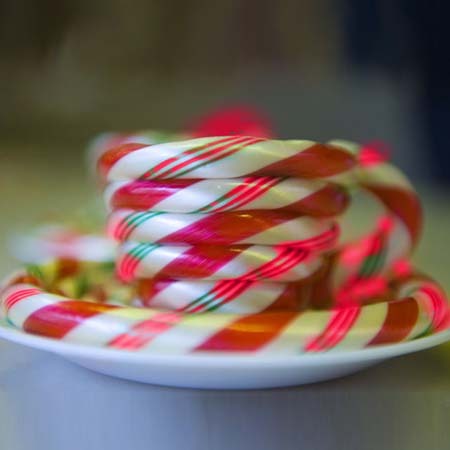 A gift box filled with 1 dozen handmade peppermint candy canes - a Giambri's Christmas tradition for more than 70 years! One of the season's most popular flavors, our peppermint canes are sure to warm you up on a cold winter's night! The candy canes are absolutely perfect. They offer a quality taste that is superior to the mass produced canes found in store shelves in season. I use them to decorate for our family party and the children love them. I will be buying these many times in the future. Everyone loved them. Candy Canes are wonderful. Everyone loves them. Will be ordering again.